I am surrounded by people that take missions trips all the time, that talk about how most of the world lives on $1 per day. How did the world ever get so lopsided financially? God has been unbelievably good to us in the United States. Still we gripe complain and overspend, then we end up in debt. Does this make sense to you? It's embarrassing actually. 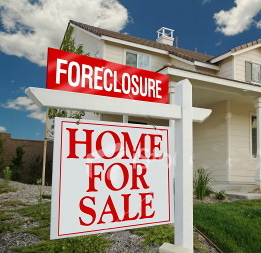 Last night on tv they were interviewing people whose homes were in foreclosure. I guess the trend now is w hen people find out they are going to lose their home, the owner guts it and sells everything they can, including things attached to the walls that leave huge holes and almost unrepairable damage. An act of stealing really. They interviewed a lady that talked about everything she was selling from a home that the bank technically owned. Acting as if she felt this was perfectly acceptable she said to the camera, "They are the people that were dumb enough to give me too big of a loan in the first place, so it's their own fault." That statement stuck with me all night. I felt that it summed up so many people's attitudes around the country. How sad. I pray that as believers that is never our attitude - an attitude of entitlement. I had to search my own heart and ask a tough question, do I live as if I'm entitled to whatever my heart desires? I had to admit sometimes I do. I overspend sometimes, I feel jealous toward what others have sometimes, I want the confidence that I see in others and even get upset sometimes when others have something I don't. How sad this must make my Father. So what gave us this attitude of entitlement? Are you willing to take steps away from this attitude? I long to live a totally satisfied life despite my circumstances...not possible unless I abide in Him! The right to "life, liberty, and the pursuit of happiness". These things are noble when we consider them from a Christian perspective that will temper our individualistic and hedonistic desires. Without that restraint we develop "rugged individualism", blatant hedonism, and entitlement. I, too, am striving to live as Christ did in simplicity.